Do you feel at home when visiting Playa del Carmen? You’ve fallen in love with this slice of paradise! 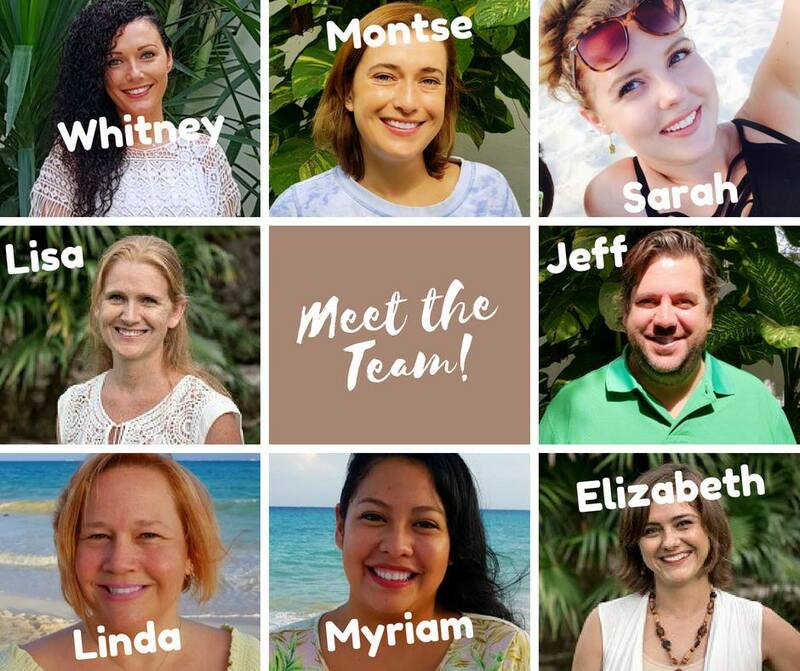 Our team here at PlayaDelCarmen.Com is made up of a mix of American / Canadian / and English expats (not forgetting our amazing Mexican locals)! 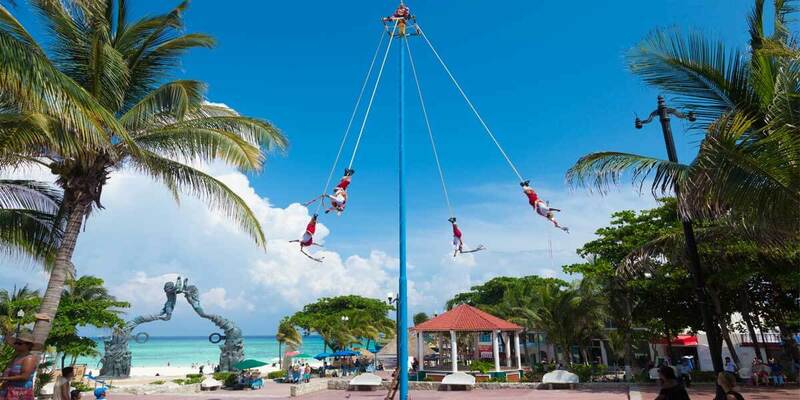 When it comes to talking about moving to Playa del Carmen and what to expect, we’ve been there. You see, as easy as it is to become quickly infatuated with Playa…the city cannot speak, so you must learn it more slowly and methodically. 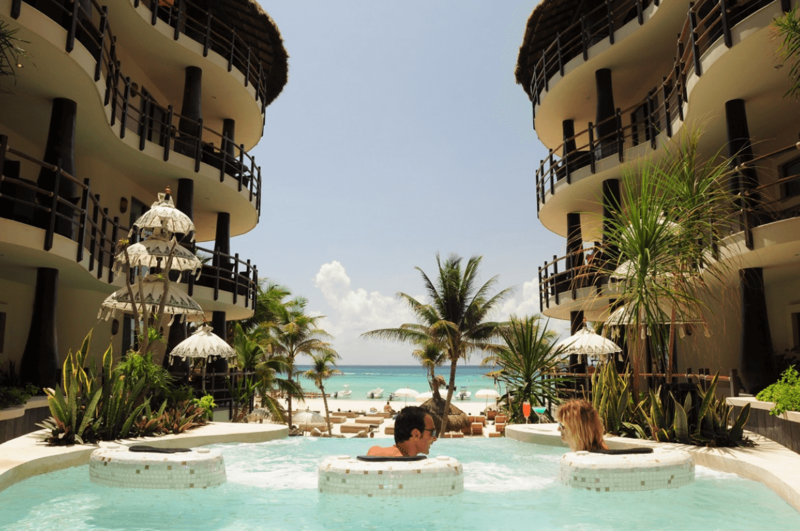 Why Relocate to Playa del Carmen? 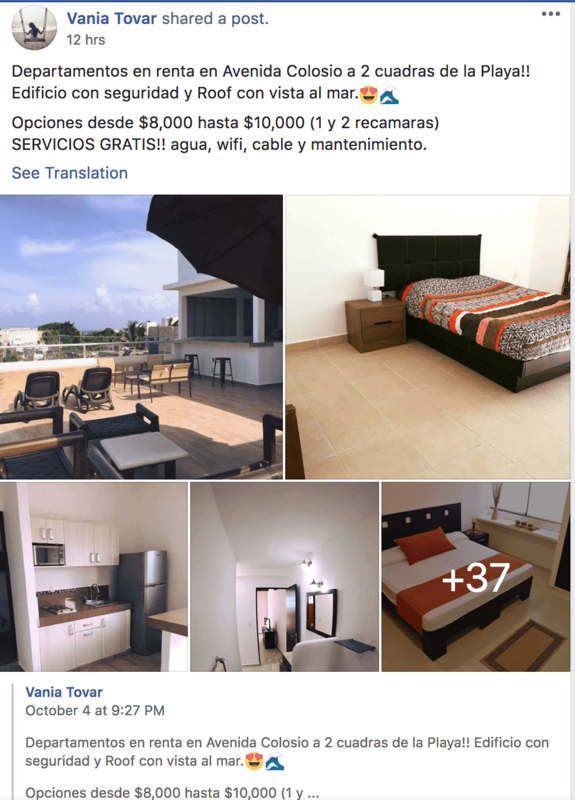 Cost of Living in Playa del Carmen? 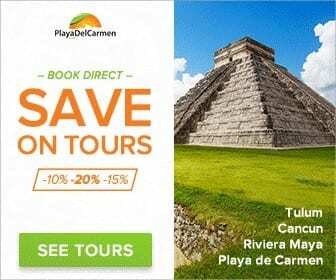 Jobs in Playa del Carmen? 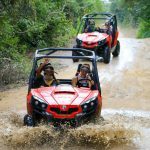 Schools in Playa del Carmen? 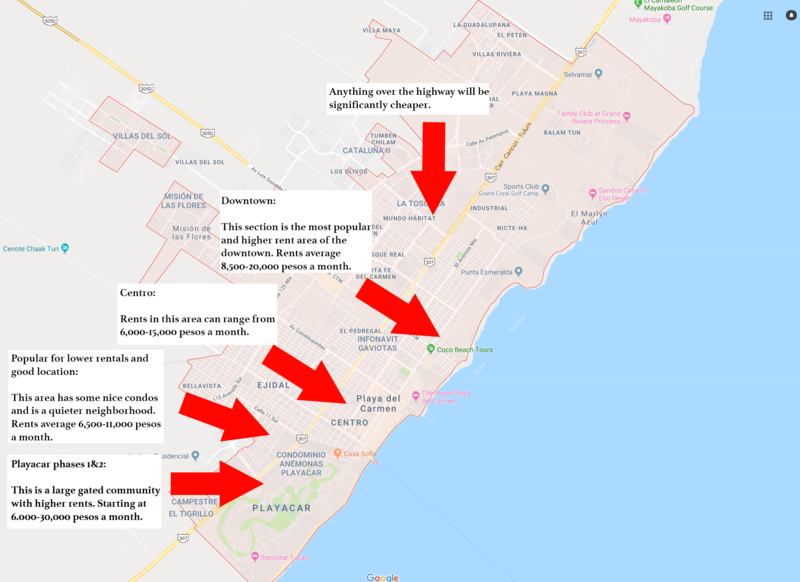 Where to Live in Playa del Carmen? 1. 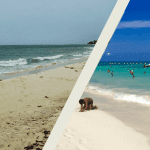 Why Relocate to Playa del Carmen? Living in Playa del Carmen is an amazing experience. I’d encourage everyone to try it at least once whether it’s short-term or long-term. It doesn’t matter if you’re young, middle-aged, or in your later life, it’s one of the few places in the world that caters to people of all ages. To get a true feel of what the place is really about you have to stay here at least 3 months. 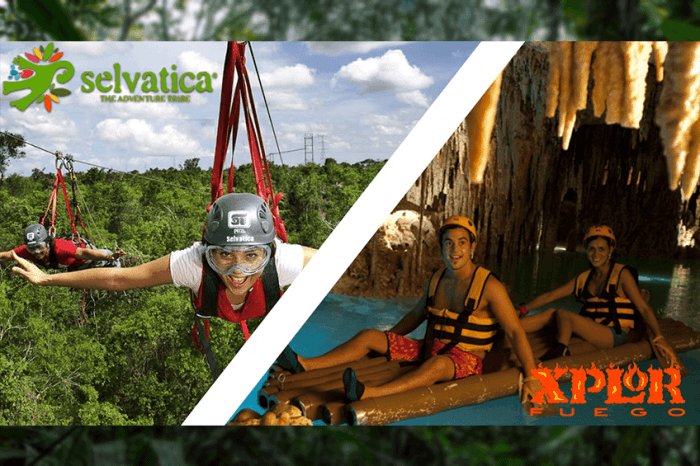 In this time you will be able to experience the true day-to-day reality of living in Playa del Carmen. The city itself is made up of the perfect blend of locals and an exciting up and coming expat community. You’ll cross paths with people from all over the world. 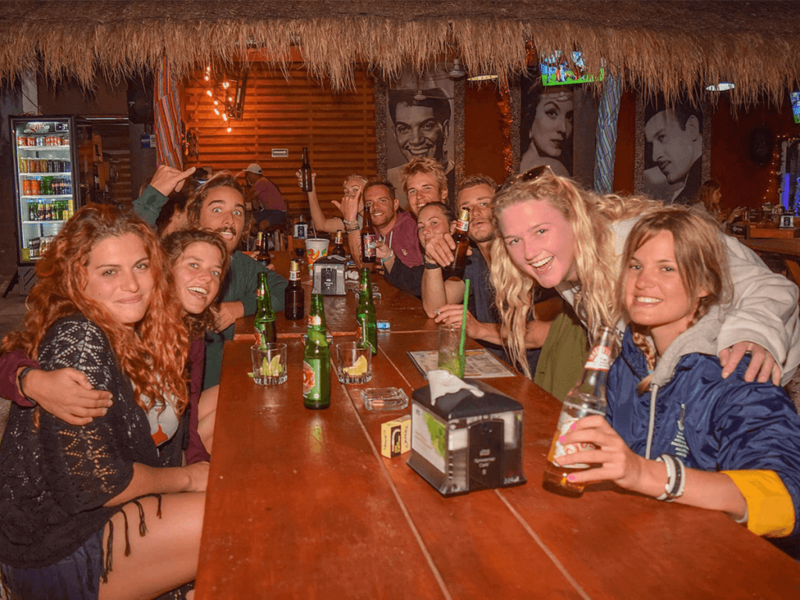 The atmosphere in downtown Playa is vibrant and social, there is ALWAYS something to do. If you like to be part of a community spirit there are weekly events and opportunities to get involved in things that matter to you. Are you retired or don’t need to work? 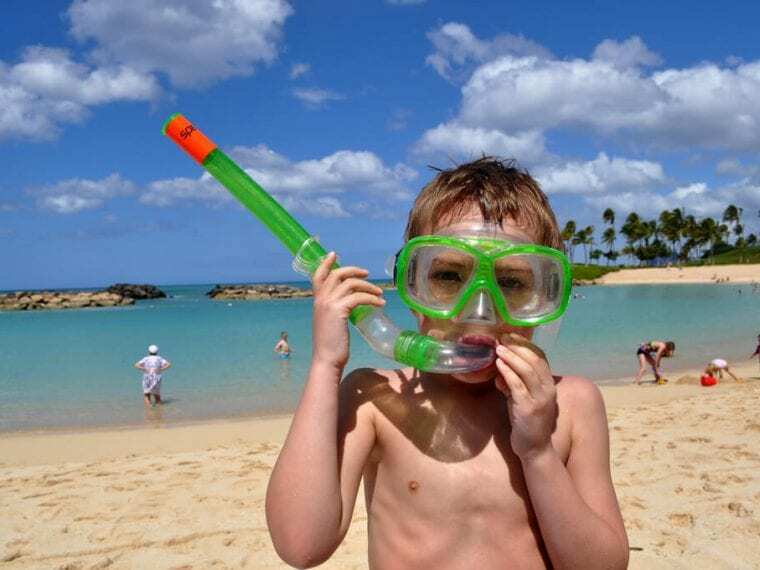 Your money will go a lot further here (more on that later) and you can enjoy all the leisurely activities you want! Salsa dancing by the shore? However, your weekends or days off will be in a different league entirely! Because you have an abundance of truly incredible and cool things to do around you. 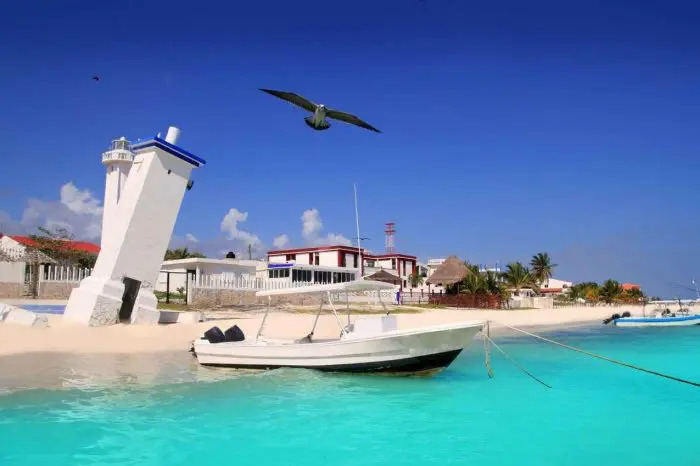 Weekend trips to Isla Mujeres, Cozumel, Bacalar. Visiting natural wonders like cenotes. Oh, and did I mention the weather is glorious all year round? Topping up your tan is a must! There’s no doubt the cost of living is significantly cheaper here in Mexico than it is most places. It’s roughly 18 Mexican Pesos to $1 USD. Definitely more bang for your buck. The cost of living will vary whether you plan to make the move solo, with a partner, or family, of course. It all depends on what you choose to do with your time, and if you have children to take care of. To simplify things, I moved here solo from England at the age of 24 and spent around $35 USD per day. Bear in mind that when I first got here I didn’t want to cook, and I was out socializing almost every night making new friends. As time went on I began my weekly shops and settled nicely into the day-to-day, ultimately spending less in the week and more on weekends. There are very few places in the world where you can enjoy an incredible 5* 3-course meal for less than $50! When traveling solo it’s often cheaper to eat out than it is to cook and use gas & electric. Food/drink is cheap and GREAT quality. There’s also plenty of ‘ladies nights’ where women can drink for free. Whoosh! Transport is super cheap and efficient – taxi/bus/boat. Because of the economy, the earning potential is much less, especially if you are accustomed to U.S wages. You can’t always find the brands or material possessions you’ve become accustomed to back home. I’m from England and finding teabags was a task (we love our tea)! Knowing who and when to tip when I first got here threw me off! 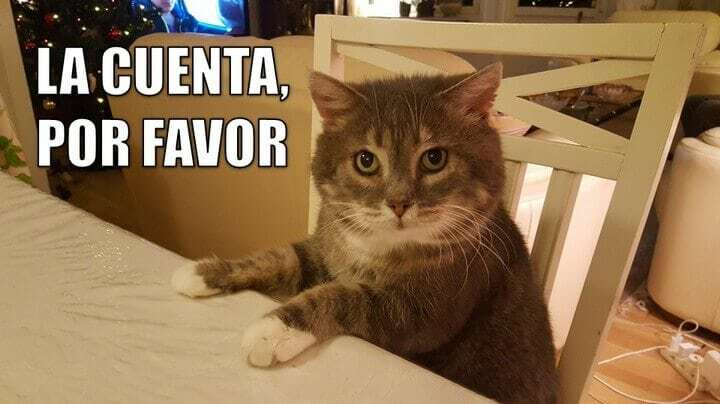 Luckily for you, I wrote an article about it, so you don’t have to go through those awkward moments – Who to Tip and How Much to Tip When Visiting Mexico. If you’re moving from a huge city such as Los Angeles, or Vancouver, you’re in for a shock. Playa del Carmen is a walkable city, meaning you can navigate everywhere on foot if you have the time. It usually takes me 1 hour, or 1.5 to do a full circle of the city. The population here was last recorded at around 149,923 people back in 2010. Obviously, as a vacation hotspot, the amount of people visiting varies depending on the season. The months of December and January are particularly busy. This is largely noticeable on the beaches downtown during weekends, and in the clubs, bars, and restaurants. Once you’ve settled in here it won’t take you long to discover the more local spots (off the beaten path) where you can avoid the crowds with ease. Even if you do plan on buying Real Estate here I would highly recommend that you first rent for at least 3 months to visit different areas. This gives you time to make a solid decision before planting your flag. Relocating is a huge decision, you’ll want to get it right. Luckily for you, renting in Playa del Carmen is super EASY! When I moved here I was astounded by the lack of paperwork and general hoo-ha involved. Lower end rentals are simple, and I moved in the same day. 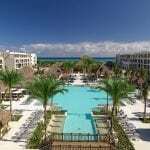 Roomies in Playa del Carmen – If you’re traveling solo and wanting to share with a roomie, meet new people, etc. Please note most adverts are posted in Spanish and prices are shown in pesos so you will need to do the conversion yourself. Do not offer to do a credit check, it’s literally unheard of here, so it should be a big red flag if this comes up. Do not send a deposit before your arrival. Make sure you know what’s included in the price, water, gas, etc. Playa is a hot rental market, places go real fast, so make sure you are on the ball if you have your eye on somewhere particular. My advice would be to stay somewhere for one week while you shop around and get to know the area. Using a reputable rental company can make things simpler especially if you don’t know the area all too well yet (although I managed just fine on my own, I didn’t speak Spanish at this point either). 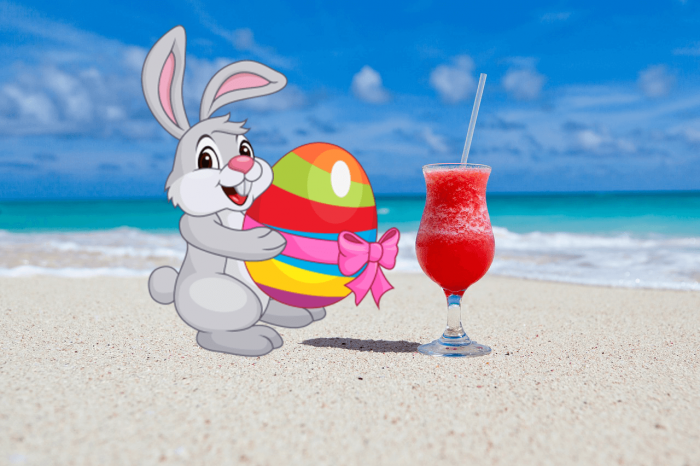 The busiest times of year to find the perfect rental is (August), (December /January), and (Easter / Semana Santa / Spring Break). 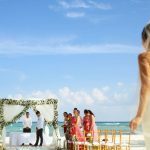 Do you have to sign a rental contract in Playa del Carmen? Rental contracts really don’t have much meaning here and are difficult to enforce unless taken to a notario (notary) which can be costly. My advice would be to choose a landlord you see yourself having a great relationship with. Make it clear how long you are going to rent and stay for and stick to your word. Give advanced notice if you do plan on moving before your verbal agreement is over. For higher-end rentals, a contract and notario may be the best way to go. If you go through a rental company, it’s likely they will add this cost on to your overall rental price. Be sure to take photos when you move in (just like you would at home) to document/have proof of what the place looked before you lived there. 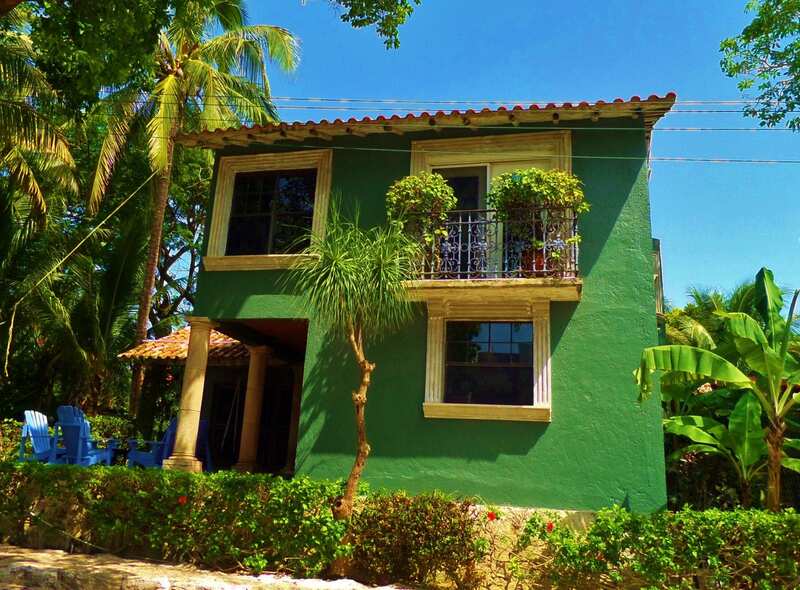 Thinking about buying a property in Playa del Carmen? I like you already. It may be overwhelming at first, but fear not, I am going to break down the basics for you. 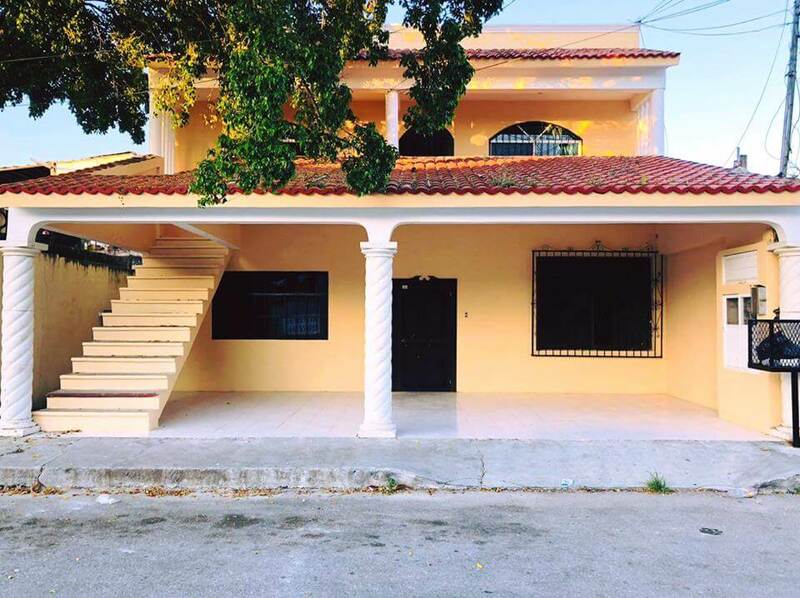 The laws here allow foreigners to buy property within 50 kilometers from the coast or 100 kilometers from the international border to set up a fidecomisco. Condos are extremely popular in Playa del Carmen particularly if you want to be close to the beach. Many people buy a beachfront property, then invest in a house further from the coast while simultaneously renting out their place by the ocean. This type of investment can be very profitable. You can even use sites like Airbnb to give you suggested prices on how much you should charge for people to stay in your property. 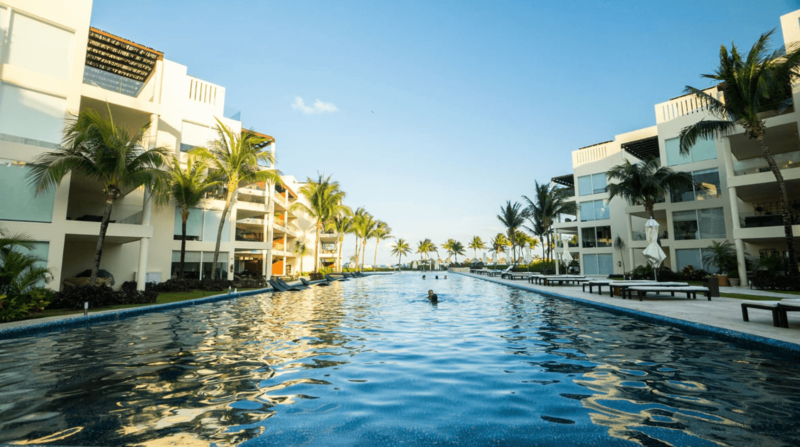 Is property in Playa del Carmen cheap? Don’t be fooled! Just because the cost of living is cheaper here, property here is hot! Meaning that it can be just as costly (if not more) than back home. Prices for Real Estate here are often advertised in USD. The reality is that most people buy property here with cash. $140,000 USD will get you a lovely space on the other side of the highway around 5-10 minute drive to downtown Playa. It’s near impossible to find any condos under $140,000 USD. This type of budget will afford you a nice condo downtown. More expensive condos will be toward the north end of the center. In Playacar (a gated community), there a few houses in this price range too. The midrange budget will give you lots of options to look at. 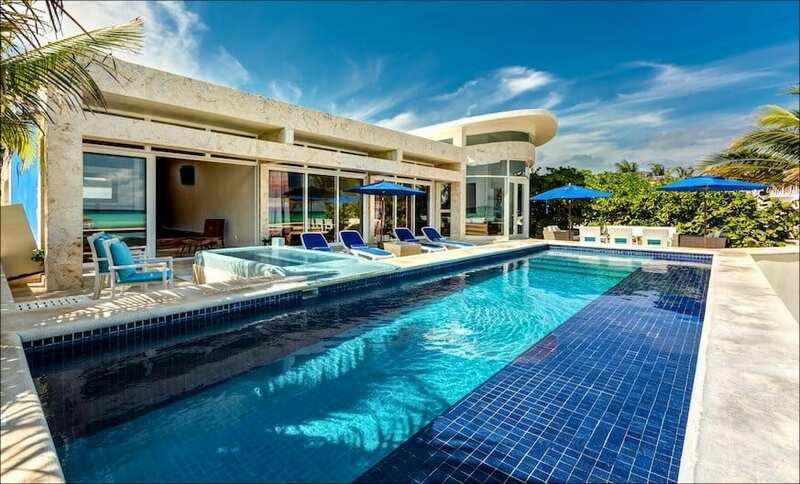 With this type of budget, you are going to live very comfortably in Playa del Carmen, you’ll find properties among the most sought after residential areas such as Playacar, and a number of impressive estates in the Ejidal area. Ahh if you are lucky enough to live lavishly the million dollar mark will get you the creme de le creme. Think beautiful oceanfront houses in the Playacar region and grand condos lined with golf courses! Now, to decide what to take with you. This can be a lot of work, or it can be actually quite a cleanse. You can either decide to take everything including furniture and put it in a container to ship. Start a fresh and just bring your favorite things with you. Have your items shipped from home. Find a shipping company and pack up your stuff. It’s a little extra hassle in the beginning but eliminates the need to replace items you need when you arrive at your new home. Drive your possessions to Mexico. This may be a long drive for some and you will incur a tax fee for your vehicle when you cross the border, but you can bring animals! Sell almost everything you own, start fresh and just bring your suitcase to Mexico. Shipping your things to Mexico. In our experience, less is generally more. The climate and general conditions make it a lot harder to keep things such as luxury furniture, pianos, and fancy bookshelves etc. The humidity here means you would have to have your air-conditioning on all the time to make sure your house or space doesn’t have lots of moisture. Be sure to pack all the vacation essentials. Clothes you will use here, sunglasses, sandals, etc. Sheets and towels (if you like cozy sheets and towels good quality threads are hard to come by here). Small kitchen appliances, coffee makers, food processors, blenders, etc. Books – there are many English book sales here but you may not always be able to find what you want! When you find a property you like the look of, be sure to check where it is located on a map. 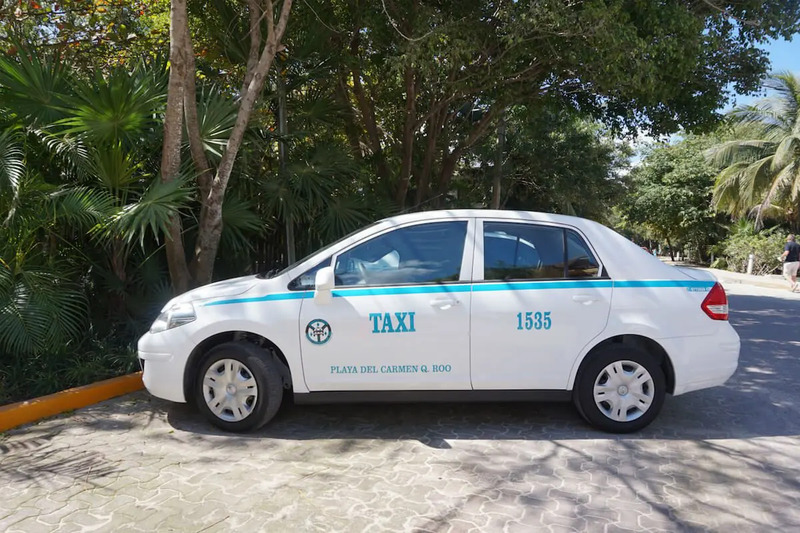 Anything on the other side of the highway such as Mision de Las Flores or Villas del Sol are still great places to live but they will require a taxi journey or car ride down into downtown Playa del Carmen. You may be limited to what’s around you by walking on foot such as restaurants, pharmacy, or grocery stores. If you have any questions about where to live in Playa del Carmen don’t hesitate to get in touch, or leave your questions in the comments section below, we would be happy to answer them for you. 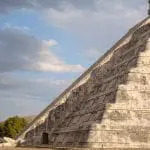 Most expats live in the Yucatan and Quintana Roo States. Because it puts them in close proximity to everything they could ever need. 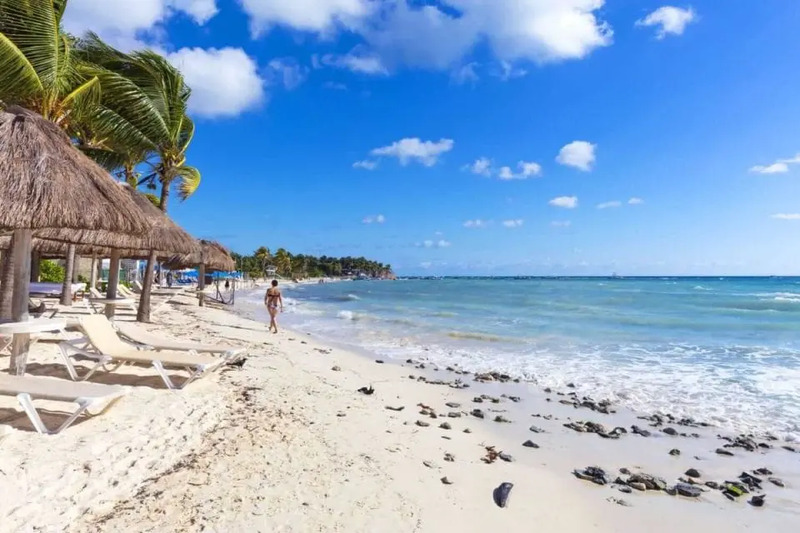 In the Riviera Maya, Playa del Carmen offers the perfect blend of comfortable living without it being too remote or lacking in expat essentials. Whereas people who choose Cancun may prefer a bigger and more complex city lifestyle. Playa del Carmen is laid back and a totally different vibe entirely. 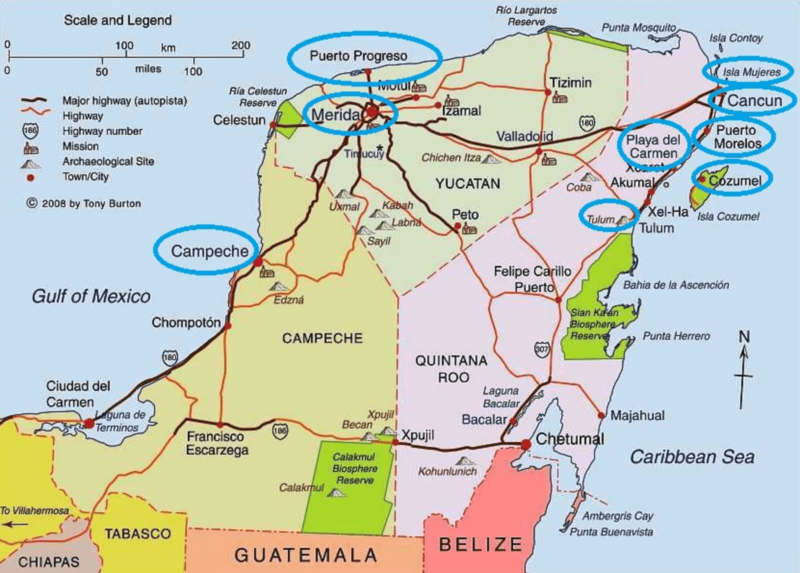 Albeit, all of the surrounding towns mentioned above are not as developed as Playa del Carmen. They are beautiful to visit on day trips or long weekends. When starting over in a new country, getting all the services you require set up may seem like a challenge. Keep calm, take a deep breath…here’s how it’s done. The city of Playa del Carmen provides water to each resident. It is for use in your home but it is not drinkable. Each month you will receive your water bill from Aguakan. You can pay this at Aguakan offices or at convenience stores like OXXO. Drinking water can be purchased in huge canisters for a minimal cost, and are delivered to your home. 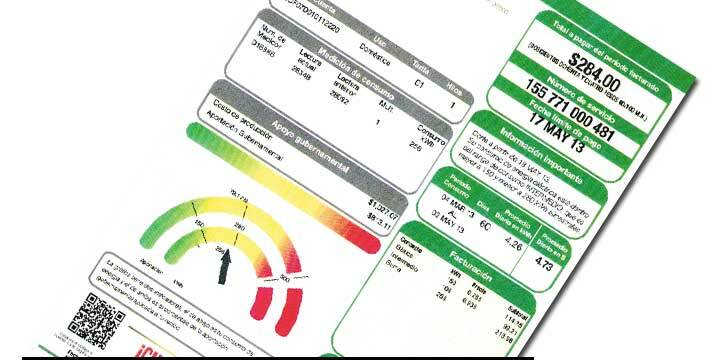 There is 1 electric company for all of Mexico. This company is called CFE. Electricity in Mexico is fairly low in cost but it can get expensive if you leave things like your air-conditioning running when you are not home. The majority of house and condos here use gas for heating water and cooking. Many homeowners and renters have the responsibility to call and have tanks filled with gas. Zeta gas is a service that comes to your home to fill the stationary tanks. Trash is picked up daily from dumpsters or street side pickup. This is necessary due to the climate and heat making trash go bad fast. At the moment the trash service doesn’t offer a recycling option. 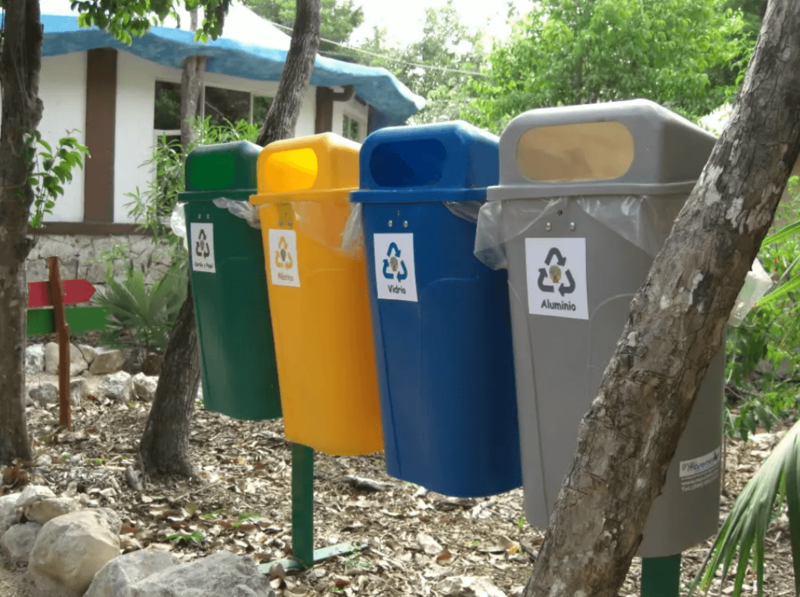 However, there are places you can bring your recyclables to in Playa del Carmen. If you are throwing out old clothes or anything of value, just leave them somewhere outside your home where passersby can discover them. There are 2 main options for cable TV and internet in Playa Del Carmen. Roughly around 600 pesos per month. 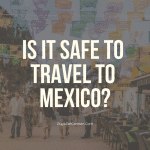 Many people enjoy the freedom of not having to drive in Playa del Carmen because it is a walkable city. So, what are your options if you do not have a car? Playa del Carmen has enough shops to keep even the most avid shopper happy. Whether you’re searching for clothes, furniture, jewelry or art, Playa has it all. 5th Avenue is the staple of the city but you may find it’s designed more for tourists. It’s great for bikini or clothes shopping. For more information on 5th Avenue read our dos and don’ts. If we are honest… crime happens all over the world. Exercise the same caution you would at home. Don’t walk dark alleys alone late at night. Lock your doors when you leave home and stow away any valuable items out of plain sight. 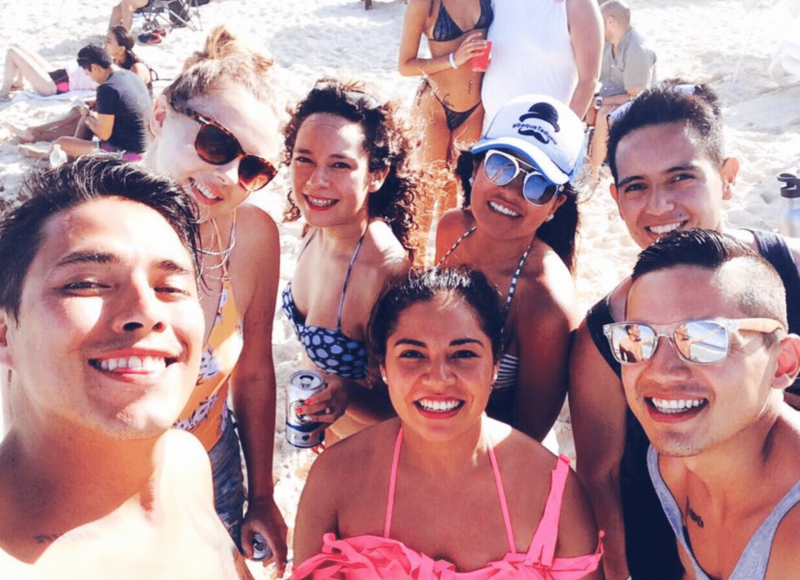 Meeting new friends in Playa del Carmen is easy! It’s such a social place. People are friendly, welcoming, and hospitable. We live in a digital era where we connect with whoever we want online! 1. 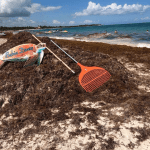 Expats & Locals in Playa del Carmen – Need your question answering? Just simply ask a question and wait for the helpful responses to come pouring in. 2. 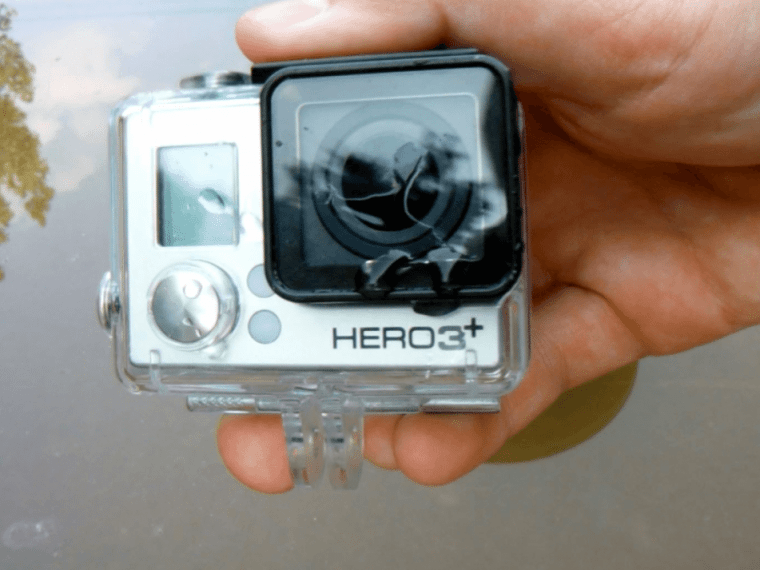 Expats & Locals in Playa del Carmen Marketplace – buy and sell stuff. 3. 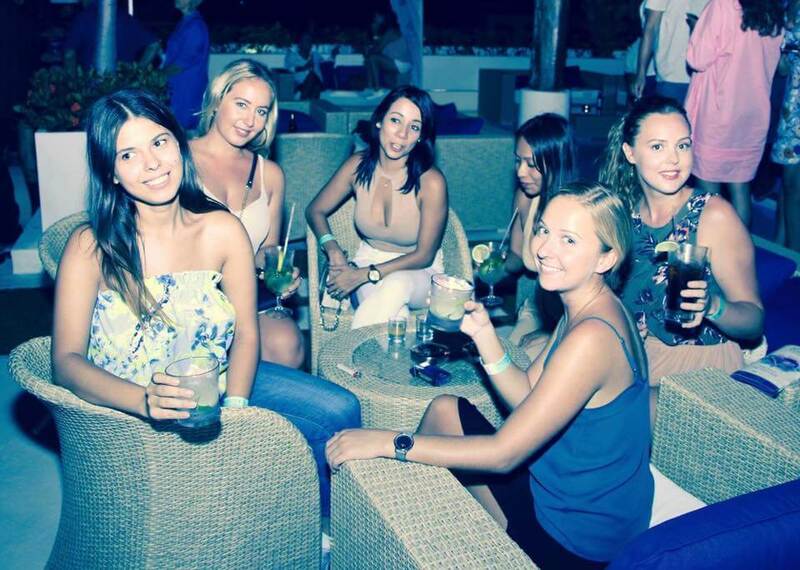 Ladies of Playa – A group for the ladies! Regular meet ups and social events. 4. Mexpats – An excellent expat community. 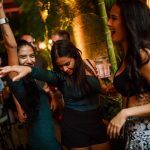 They often host regular meetups in swanky hotel bars and post lots of useful information about what’s going on in Playa right now. There’s a saying known in Playa which suggests the city either adopts or rejects expats. You won’t know till you get here! Got any questions for us? Drop them in the comments section below I’d be happy to answer them for you. Thanks for your blog, it was quite informative. I am considering Play Del Carmen as a possible place to live. I buy vitamins, food and other items via the internet. Is that something I can continue to do? Is the mail service as efficient as the US or does it fall short? I have been told not to trust the mail delivery system in Mexico among other countries. Please enlighten. Hey Sylvia, I also thought this when I first moved here but have had no issues. I just wouldn’t recommend buying anything of great value and have it delivered. There are also plenty of supplement shops here you may want to check out too. 🙂 I hope that helps. What are the job opportunities and do they have good schools for kids? Hey Monica, thank you for reaching out so happy you found it useful. Job opportunities here aren’t too great unless you specialise in something, however, there are a lot of digital nomads and people that work online which is also something you could look into. I am going to add in sections to this blog listed ‘Jobs’, and ‘Schools’, I think it would be really useful so I will notify you once that’s done. There are an abundance of great schools to choose from in Playa del Carmen. Including solely international student schools. Just google them for more info. I hope that helps.